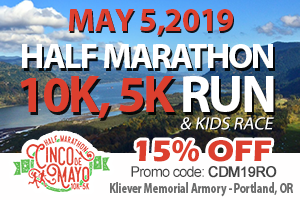 2019 Cascade Half Marathon Medals – 20 years running! When you run a winter half marathon you know that a good number of your training miles will be wet. You also know that there is a high probability that race day will be cold, wet, windy, and/or some combination of those elements. 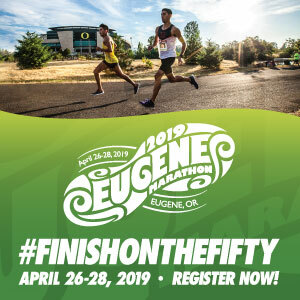 With the Cascade Half Marathon in my sights, I began to agonize over whether or not I should run it before I even registered. Despite the fact that I was training for a half, each long run involved some sort of rationalization regarding why I should run the half marathon or why I shouldn’t. Despite the fact that I have run the Cascade Half many times, I literally agonized over this for months! Every time I sat down to register, I would chicken out. I went back and forth about if I should just sign up for the 10K instead. Finally, with a registration deadline looming and the encouragement (or perhaps harassment) from a few friends, I signed up for the half marathon. Not surprisingly, race morning was rainy. Really rainy! I had thoughts about how nice that 10K was sounding, but I put them out of my head. I was running that half! The Cascade Half is at Cascade High School, so fortunately we could wait inside until just before race time and stay dry for awhile. When staying indoors was no longer an option, the small group of us that had opted for the early start lined up with a variety of rain gear and layers – ready for a soggy run. At start time I was still messing with my blue tooth headphones, trying to get them to sync up – without much luck! I was a little worried, because I knew I would need the distraction of my headphones for this run. My persistence paid off, after a good 1/2 mile of trying, and I finally had my music. With that settled I began to enjoy my surroundings in the rural town of Turner. 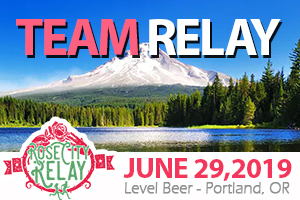 This flat race is run through farmland, rural housing, cow pastures, barns, and a few businesses. You are guaranteed to see and hear animals along the way. Cows, dogs, chickens, and geese, to name a few. And, of course, there was roadkill: a large possum and a flat frog. 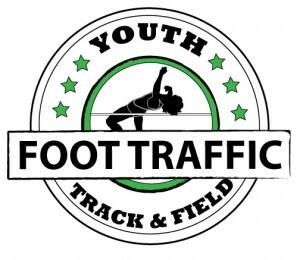 Even though this course is on open roads, the amount of traffic is minimal. The few vehicles that passed by were all cautious and polite, even if they were being held up by flaggers while we crossed an intersection. Turner just has a very friendly, relaxed, small town feel about it. And smell . . . At one point the smell of onions was overwhelming. I kept looking for the source and finally noticed there were piles of onions left in a field, which I presume was for the cattle to eat at some point. But, boy did it smell! I felt bad for the flagger at that corner. The Cascade Half course is out and back, which I love. It’s great when you start passing people headed in the opposite direction. Everyone was friendly and greeted each other in some manner; whether a smile, wave, nod, words of encouragement, or a hang-loose sign. I felt a little bummed when I was on my way back and had passed the last of the group. But, it wasn’t long before the leaders of the regular start began sprinting towards us. Then there was a long stretch of passing the rest of the runners that started at the regular start time. There was so many of them, it was impossible to greet everyone, but it was fun to see the other runners and find some of my friends who were in that bunch. Soon the roads were quiet again. The small group of early starters were pretty spread out by that point, so there was minimal interaction. And, so the long, final stretch began. I was glad to have my music and enjoyed the fact that the rain had lightened up a bit – or so it seemed. Despite my crazy fears about running this half, the weather really hadn’t been that bad. I’ve definitely run in worse! My training prepared me for the miles and I was able to keep my mind positive for the entire 13.1 mile slog. My biggest source of anxiety had been that I was sure this was going to be my slowest half marathon ever. Honestly, I’m not sure why that even mattered, but it turns out it wasn’t my slowest. It was my second slowest – but I’m going with that as a positive. It wasn’t my worst and I actually felt the best I have while running a half in a long time. Go figure! After finishing, the warm locker rooms were a welcome relief. I was so happy to pour the big ol’ puddle of water out of the hood of my rain jacket, remove my soaking wet clothes and shoes, and get into some dry clothes! The warm chicken noodle soup and delicious bread and cookies in the school cafeteria were much enjoyed afterwards, as well! 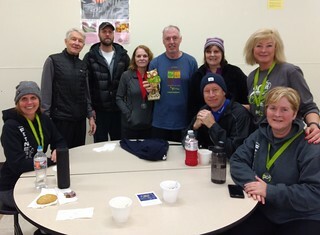 In the warm school cafeteria after the 2019 Cascade Half Marathon and 10K with a few of my running friends. My take-away from this experience is this: Don’t let “what-ifs” keep you from doing what you know you can. It’s OK if it isn’t your best ever. Sometimes you have to just run an OK race, which may be your best for that moment in time. You might even find some positives in the experience. And, seriously, there are worse things than running in the rain!